The BoBunny Blog: Misc Me Monday! Hello there BoBunny Fans and welcome to Misc Me Monday! Bernii here with you to share with you my bright and fun Misc Me layout that I created with the new release Double Dot - Chevron Paper range. 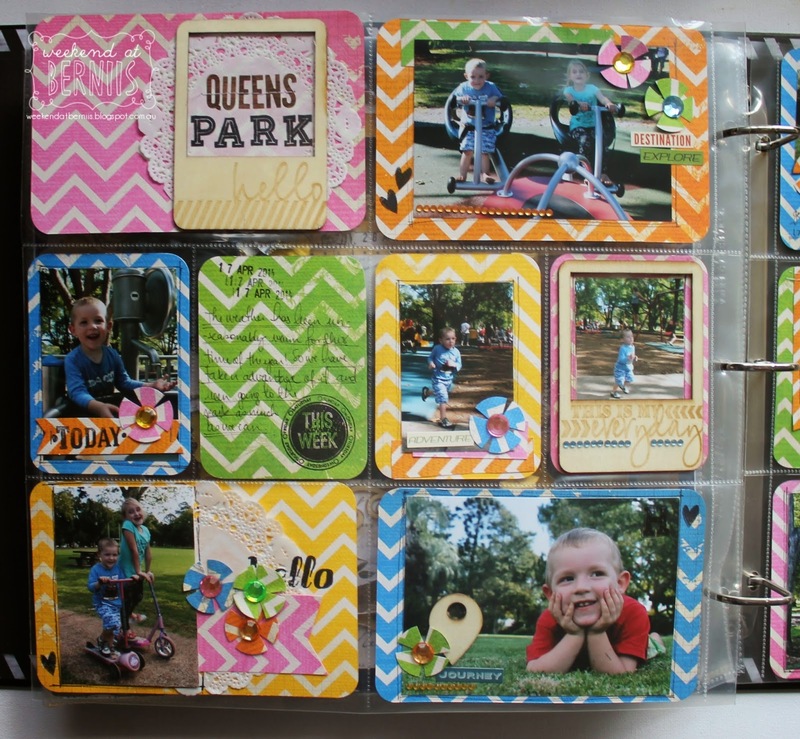 There are a variety of hues in this collection and I decided to pull out the brighter papers to showcase my fun day at the park with my children. To highlight each of the papers that I pulled, I also used the Double Dot Jewels in matching colors. I kept the Misc Me spread fairly simple this time around as the Double Dot papers were so bright and vibrant in colour. I also created little " Flowers" on my layout, by using my circle punch, folding the circle into fours, and then snipping out little petals. I love adding these to so many of my projects for extra pops of colours. Thanks so much for stopping by today and I do hope that perhaps you try and find different ways to use your Double Dot Chevron papers. Double Dot : Brilliant Blue, Buttercup, Orange Citrus, Kiwi, Passion Fruit / Chevron. Double Dot Jewels: Blue Hues, Citrus, Think Pink, Emerald, Aqua . Combo Stickers: Souvenir /Star- Crossed. 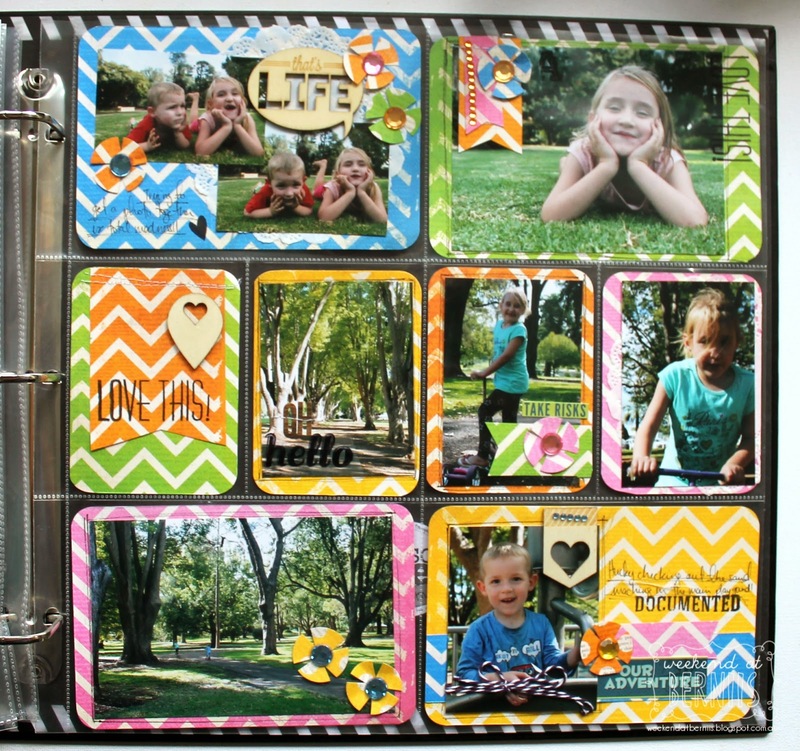 Misc Me Binder : Black 12 x 12 . 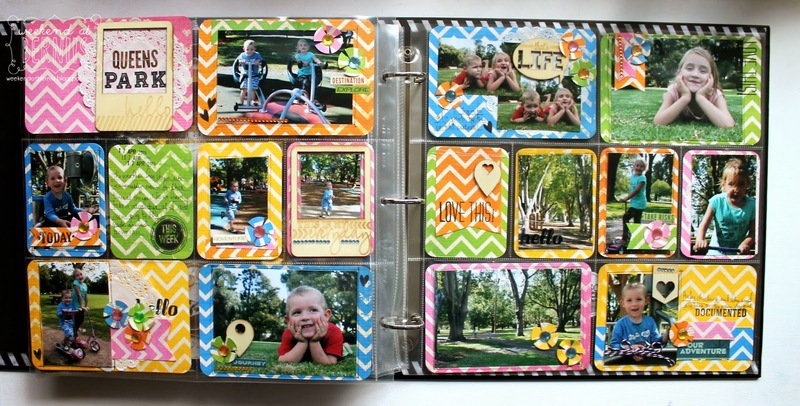 Misc Me Page Protector: 12 x 12 Page Protector Variety Pack . 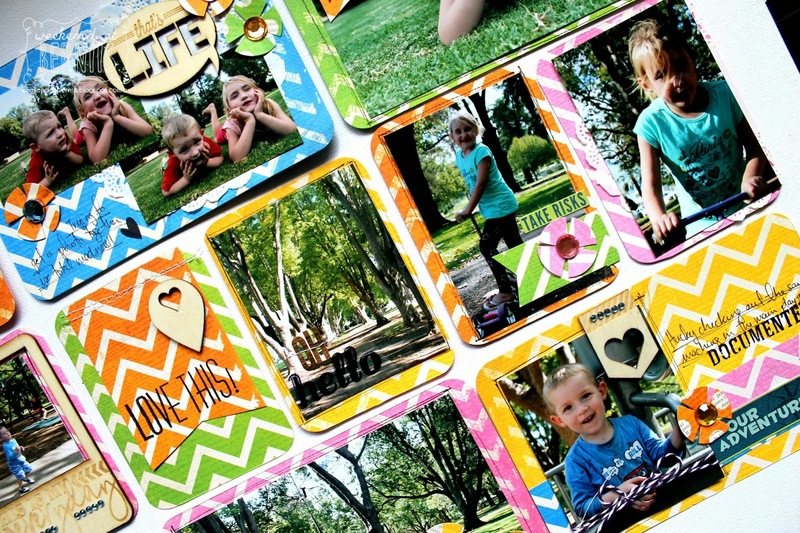 Do you have winners yet for your collections giveaways? Love your beautiful layouts. So bright, bold and festive!